Dr. Terilyn Jones-Henderson, Saybrook Psychology Graduate, Ph.D. ’06, embodies the Humanistic approach both in her work with foster and adoptive youth and in her personal life with her family of five. Her compassionate work emphasizes the foundational belief that each child has personal freedom in directing his/her own future, a large capacity for achieving personal growth, a considerable amount of intrinsic worth, and an enormous potential for self-fulfillment. She carries this belief into her work with foster children evidenced by her incorporation of a strength-based approach to identify and stabilize their healthy re-unifications with their parents and families. Dr. Henderson is the Clinical Program Director and Administrator of Families for Children, Inc. a treatment foster care, adoptions, and mental health agency co-founded with her husband in Los Angeles County. The non-profit agency offers a comprehensive program of applicant recruitment, parent training, pre- and post-foster care and adoption support services incorporating humanistic values and in-home Mental Health Services. Every foster care applicant is required to have an approved adoptive home study, which has resulted in a more efficient and high quality adoption process. This humanistic approach is also evident in the annual 4-day Youth Empowerment Workshop held in Big Bear, California. This workshop transports about 40-60 youth from group homes, probation, and foster care to the mountains for four days of resilience training, life skills, team-building, high and low ropes courses, and confidential rap sessions. The workshop uses Adventure-Based Counseling and is well known in Los Angeles County. Dr. Henderson is co-Director of the workshop and provides counseling to participating youth. While accruing her 3000 hours as a Registered Psychologist, Dr. Henderson began to utilize her personal experience and knowledge of natural remedies to address various play therapy issues experienced by her child clients such as aggression, bed-wetting, etc. This focus on natural and herbal remedies resulted in a shift towards a belief in natural healing as the key to ameliorating daily problems. To expand her knowledge, Terilyn is currently enrolled in a Phytotherapy (Herbalist) program where she is acquiring a deeper knowledge of natural remedies and therapeutic tinctures, such as Lavender to address children’s hyperactivity and sleep problems. She believes these remedies can be a complementary approach to children’s mental health/emotional problems. Throughout her professional career, Dr Henderson has added skills and degrees that support her mission. 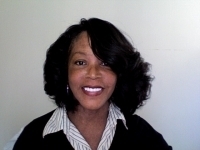 She holds a Gerontology degree from USC, and a Masters degree in Counseling from Cal State LA. Her passion, experience, and creative approach to uniting children and families makes a real difference in their life stories. Dr Jones-Henderson is also writing a book that chronicles her personal experience twenty-nine years ago of pre-planning, providing an optimal prenatal environment, and documenting the resulting effects on her three children’s educational achievement, temperament, intelligence, secure attachment, and life success. Terilyn attributes her love of life, spirit and continuing growth in a humanistic worldview to her educational experience at Saybrook!